Mississippi is a U.S. state located in the Southern United States. Jackson is the state capital and largest city. The name of the state derives from the Mississippi River, which flows along its western boundary, whose name comes from the Ojibwe word misi-ziibi (“Great River”). 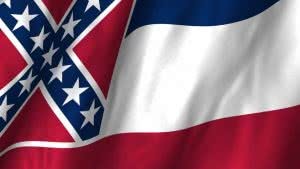 Mississippi is the 32nd most extensive and the 31st most populous of the 50 United States. The state is heavily forested outside of the Mississippi Delta area, which was cleared for cotton cultivation in the 19th century. Today, its catfish aquaculture farms produce the majority of farm-raised catfish consumed in the United States. The state symbol is the magnolia grandiflora tree.Mississippi’s major industries include lumber and agriculture. Mississippi requires corporations to have names that can’t be confused with any existing entity, reserved, registered or forced fictitious names Company Express will research your company name to make sure it meets Mississippi’s standards. Turnaround time: About 12-20 days. Time to file: Annual report has be filed on or before April 15. Signatures: Company officers or registered agents are authorized to sign annual reports. Emailed or faxed signatures are accepted. Mississippi requires Limited Liability Companies to have names that can’t be confused with any existing entity, reserved or registered names, and forced fictitious names. Company Express will research your company name to make sure it meets Mississippi’s standards. Required documents: Certificate of Formation. Turnaround time: About 12-17 business days. Time to file: Annual report has to be filed on or before April 15. Signatures: Only a manager, member or other authorized person may sign reports. Emailed or faxed signatures are accepted.